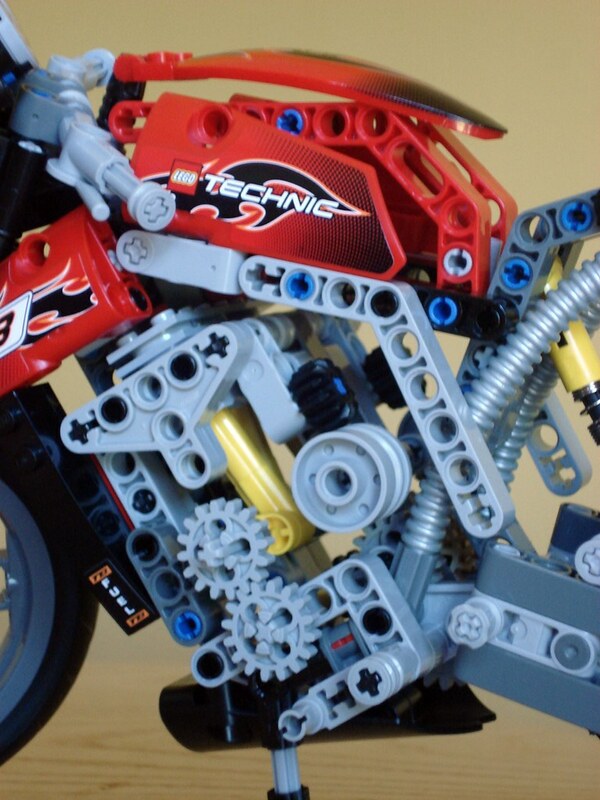 Yesterday it came to my attention the parts inventory page, from the next LEGO Technic motorbike (8051) instructions booklet, which was meanwhile made available by a Lowlug member. You may inspect it from the picture bellow. 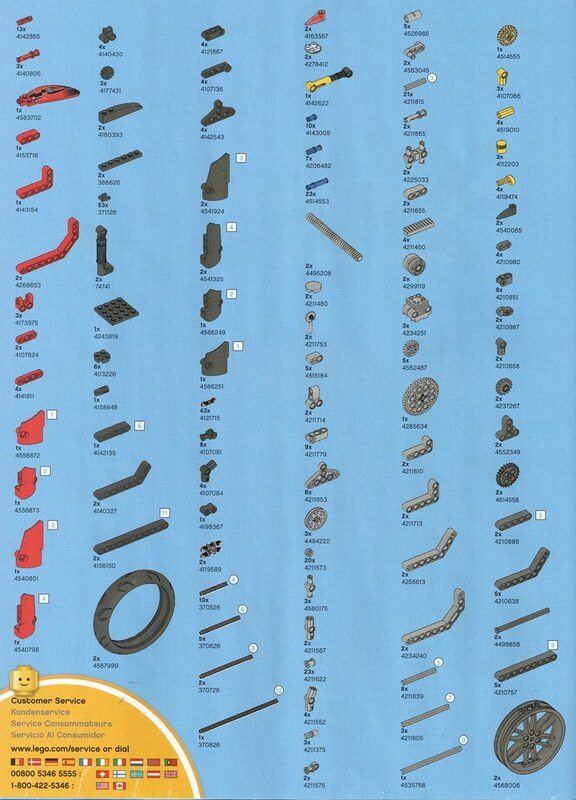 Except the new wheels, there are no other new parts, included with this set. Although I'm not sure about the tires. 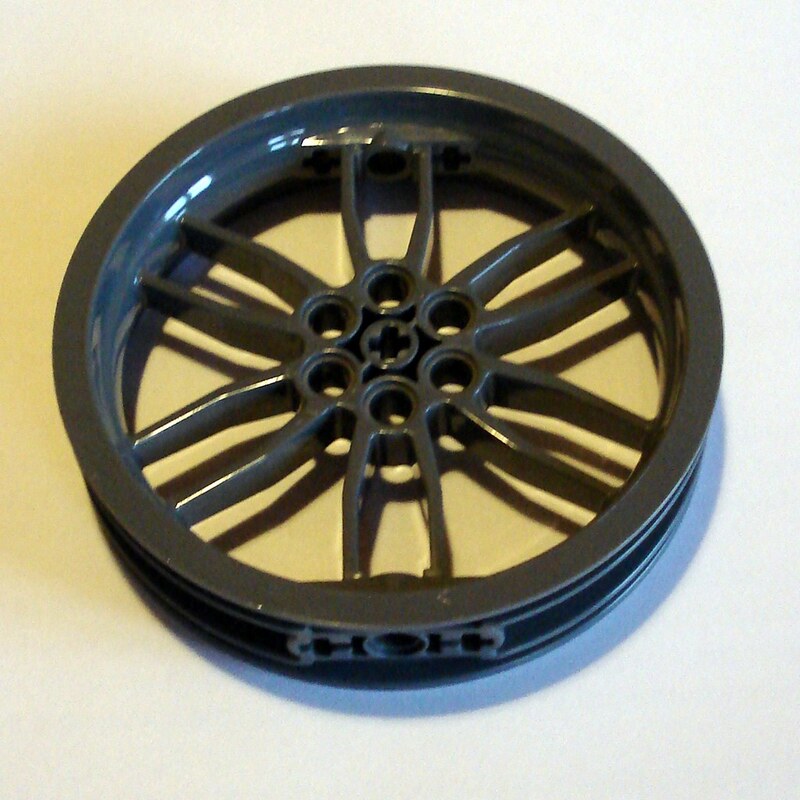 The wheels are different from their predecessors used at 8420 (Street Bike), in their form and color. The new ones are Dark Bluish Gray and seem to be symmetrical to their right/left sides, which is quite nice specially for bikes usage and was not the case in 8420. Below detailed pictures from the new wheel, as well as the 3-inline motor with its longer rods design. Another difference that became now clear, is that 8051 uses identical tires for front and rear wheels in opposition to 8420, where it was used a narrow tire at front and a wider one in the back wheel. That was very nice detail, that was missed in the new bike now. Thanks Ryan for the heads-up. You think these rims might be used in the next year's model? Like it was the case with 8880's wheels used on a tricycle a year before 8880's relase?